Quote: One of the things that PC users have to make sure when they shop for new hardware for their devices is that the new hardware components are compatible with the device. It is quite difficult for people who are not very tech-savvy to determine if a component, e.g. a video card, memory, or processor, is compatible with a PC. Information is found in a variety of places, e.g. the motherboard manual or the manufacturer's website. Amazon launched an option on its website recently that customers may use to find out if a PC component is compatible with their device or another component. 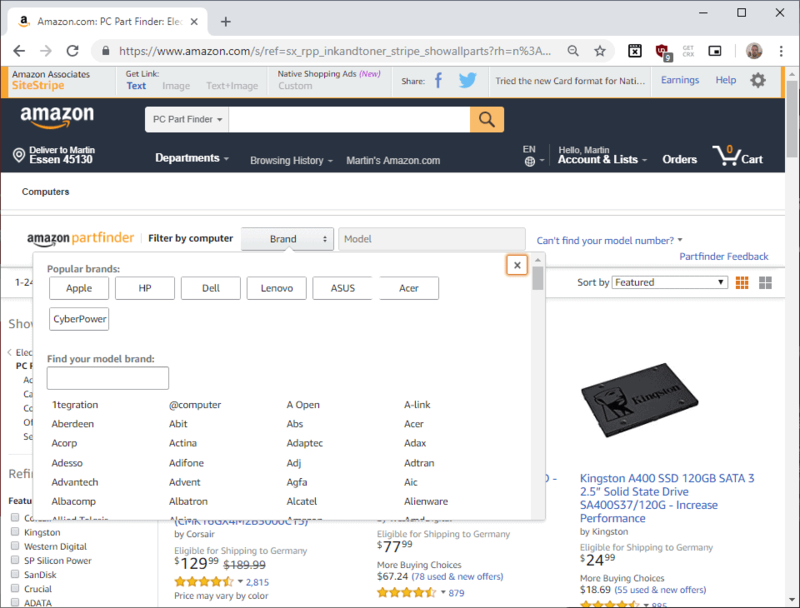 An Amazon Partfinder is displayed at the top of the page if Amazon enabled it for the component. Current time: 20 April 19, 10:52 Powered By MyBB, © 2002-2019 MyBB Group.